Is baby powder safe? « Howard J. Bennett - Pediatrician and Author in Washington, D.C.
It’s common for people to use baby powder after showering to keep dry, especially during the warmer months. Similarly, parents often use baby powder on their baby’s bottoms after diaper changes. I disagree with the latter use for two reasons. First, I’m not convinced it does any good. 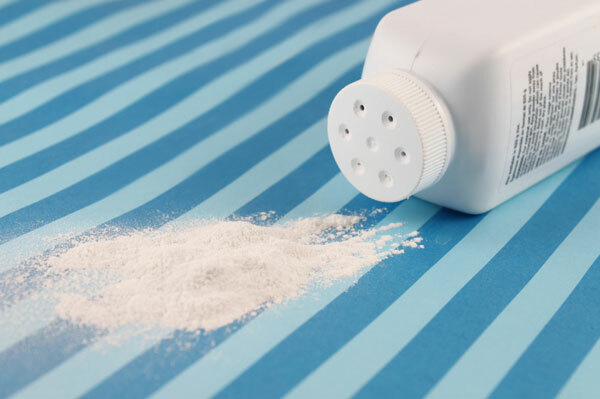 Although baby powder may absorb perspiration on an adult, it’s hard for powder to contend with the volume of urine a baby produces in between diaper changes. More importantly, baby powder can be dangerous. A number of reports have been published in medical journals where an older infant had grabbed a container of baby powder while he was lying on his back during a diaper change. Because baby powder containers look like bottles, these infants held the bottles up to their mouths and inadvertently aspirated the powder into their tracheas. This entry was posted in Dr. B's Blog and tagged newborn care, safety. ← Should you compare your kids?